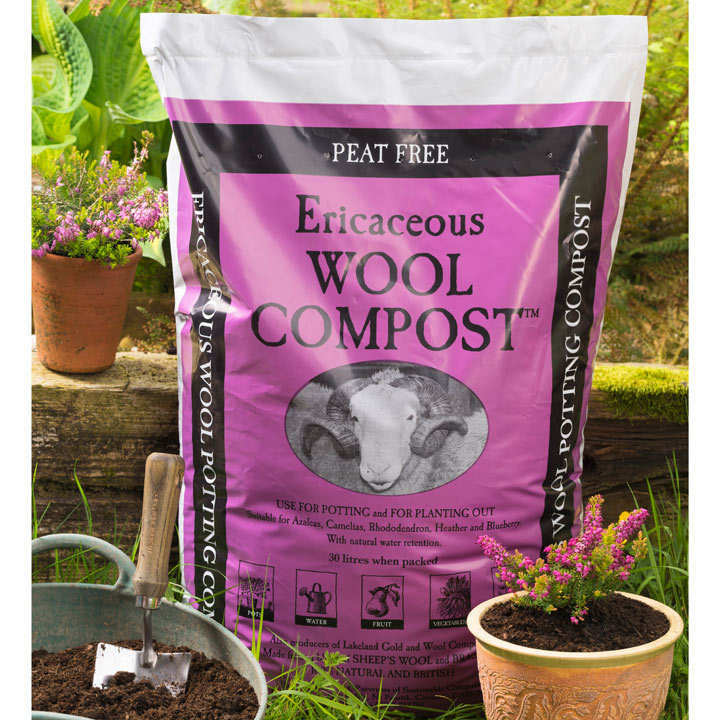 Using bracken from acidic areas of the Cumbrian Fells has enabled the producers of Wool compost to make this special mix which provides the right pH for acid-loving plants such as Azaleas, Heathers and Blueberries. 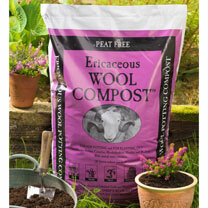 Made with the same ingredients of sheep's wool and bracken. Made in the UK, 100% British.&nbsp;30 litre bag.